Cricket Pakistan | Satire: What were you thinking Azhar Ali, Asad Shafiq? Satire: What were you thinking Azhar Ali, Asad Shafiq? 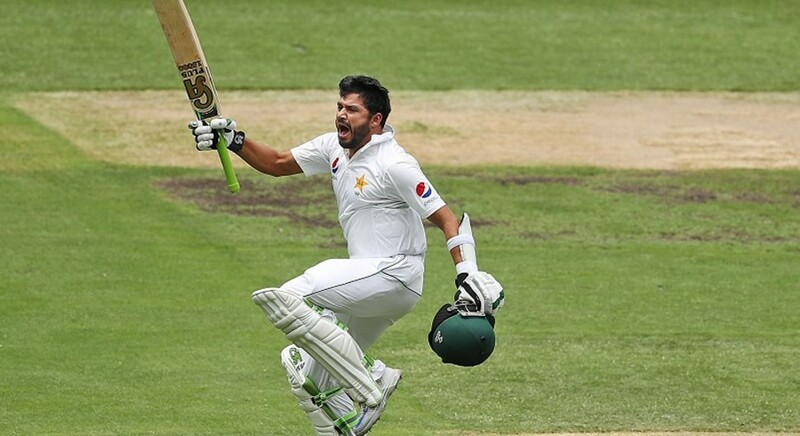 Pakistan top-order batsman Azhar Ali, who was batting brilliantly during the second-innings of the second Test, lost his wicket in a comical manner on day three. The veteran right-hander edged one past through the gully region and automatically thought that the ball will touch the fence and stopped in the middle of the wicket to have a chit-chat with his senior partner Asad Shafiq. The result was that ball stopped few inches before the boundary line, Mitchell Starc realized the opportunity and threw it to Tim Paine, who delightfully removed the bails as Azhar and Shafiq were left dumb-headed standing in the middle of the pitch. We try to uncover what the duo must’ve been discussing in those crazy 30 seconds, which produced arguably the most comical moment of the series, till now. Scenario 1- Was it because of the rising temperature?